How many future Hall of Famers are on the Eagles’ current roster? With former Philadelphia Eagles safety Brian Dawkins (and former wide receiver Terrell Owens) now enshrined in the NFL Hall of Fame, who will be the next Birds to join him in Canton? 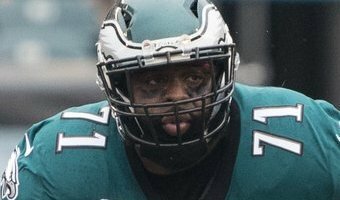 Jason Peters: Lock As an undrafted free agent out of Arkansas, Peters has played in 176 games, starting 166. He is a nine-time Pro Bowler, a two-time first-team All-Pro, and four-time second-team All-Pro, and is now a Super Bowl champion. With 4 All-Pro selections and 6 Pro Bowl appearances since 2010, Peters is a shoo-in for the 2010s All-Decade Team. 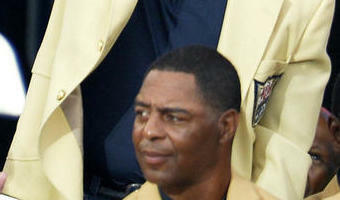 The four offensive tackles that make the 2000s all-decade team – Jonathan Ogden, Walter Jones, Willie Roaf, and Orlando Pace – have all already been inducted into the Hall of Fame. It's not a matter of if Peters will make it. It's only a matter of how quickly he gets in. Malcolm Jenkins: Needs a very strong close to his career Statistically, Jenkins has a better case for the Hall of Fame than you might think. Nine years into his career, … [Read more...] about How many future Hall of Famers are on the Eagles’ current roster?